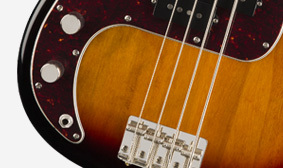 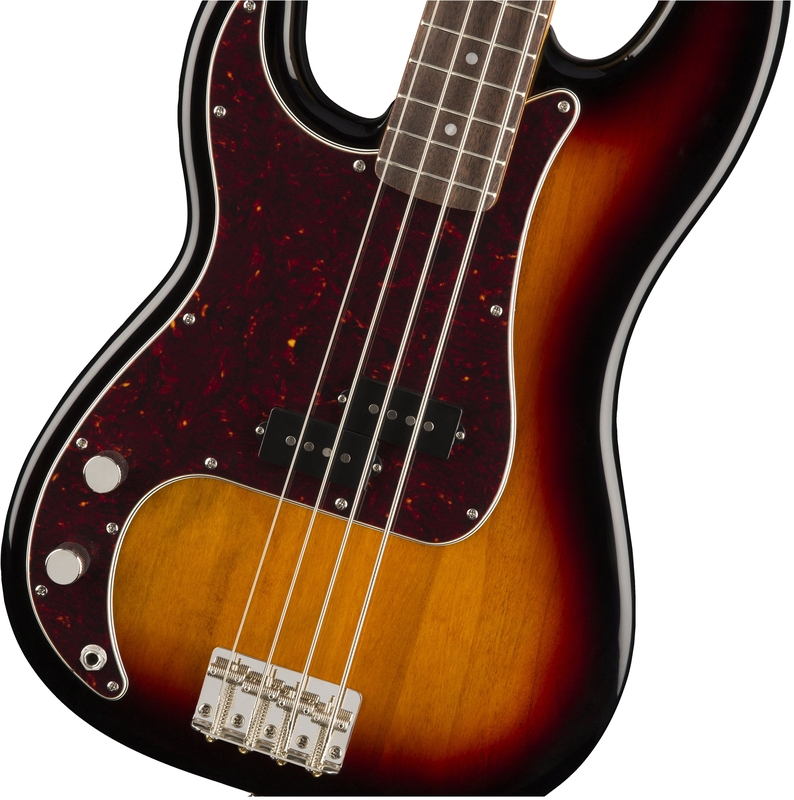 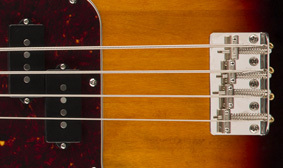 A tribute to the decade that made the P Bass® an icon, the Classic Vibe ‘60s Precision Bass Left-Handed embodies the aesthetics of the original and produces massive tone, courtesy of its Fender-Designed alnico split-coil pickup. 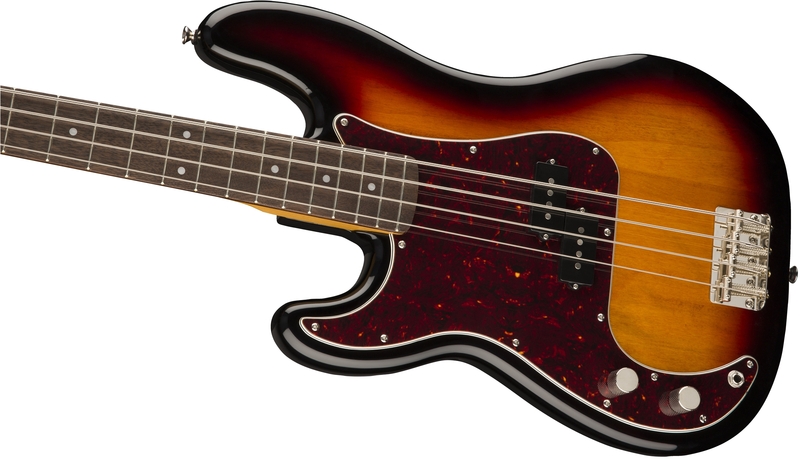 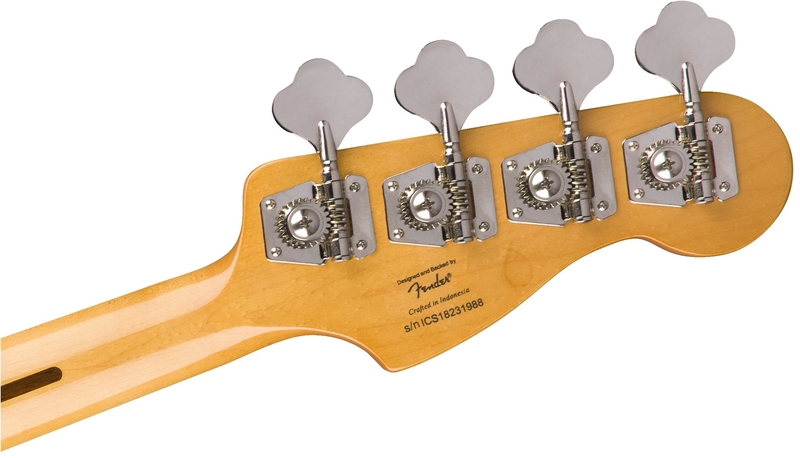 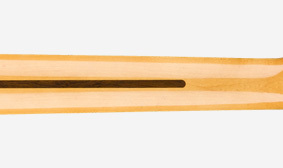 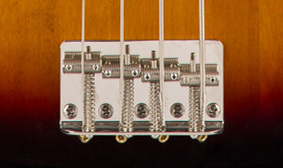 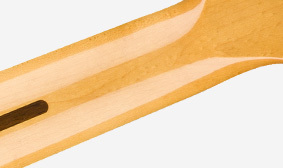 Player-friendly features include a slim and comfortable “C”-shaped neck profile with an easy-playing 9.5”-radius fingerboard and narrow-tall frets as well as a vintage-style bridge with threaded saddles. 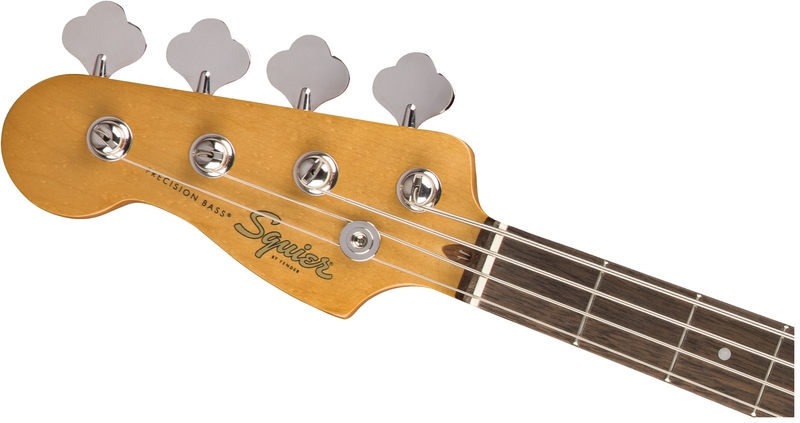 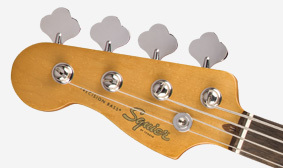 This throwback Squier model also features 1960s inspired headstock markings, nickel-plated hardware and a slick vintage-tinted gloss neck finish for an old-school aesthetics vibe.